February 27th in Wordpress Plugins by Wordpress Jedi . Have you ever wanted to cover a live event like so many top sites covering various industries? Updating a single post every couple of minutes is not the best way to approach it. WPLiveDojo is a handy plugin that lets you cover live events in an interactive fashion. You will be able to add instant content updates to your website. 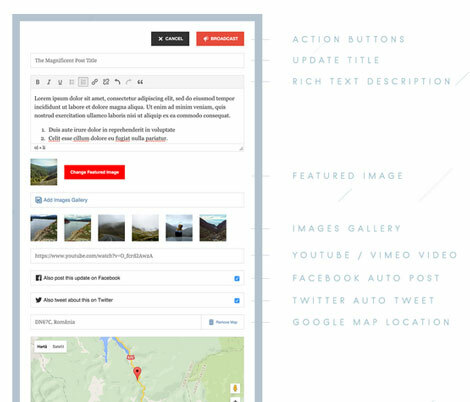 As you see in the above GIF, you can use this plugin to include text, quotes, images, and videos in each update. For instance, to include a YouTube video on your site, just paste its link, and the plugin takes care of the rest. Want to attach a map to your post? No problem. WPLiveDojo lets you schedule updates, change colors and fonts, and customize other settings. WPLiveDojo is compatible with mobile devices. It offers Google Analytics support. This is a commercial plugin by an Elite Author.